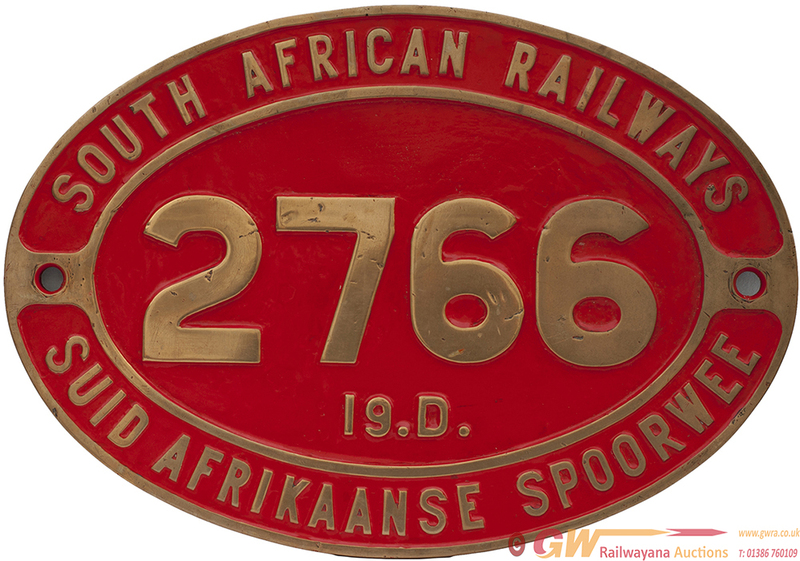 SAR brass cabside SOUTH AFRICAN RAILWAYS SUID AFRIKANESE SPOORWEE 2766 19D, ex class 19D 4-8-2, built by Robert Stephenson and Hawthorn as works number 7279 in 1945. This loco was shedded at MAFEKING. Face restored and rear ex loco.